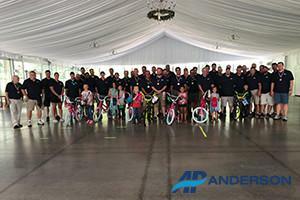 After a successful 2017 Sales Retreat, we had some team building competitions, ending with building bikes for the kids. 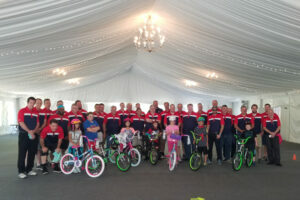 We were able to donate these bikes to some of the happy kids at United Way! 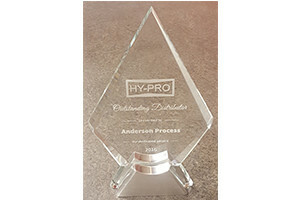 Anderson Process Receives 2016 Hy-Pro Filtration Outstanding Distributor Award! Anderson Process is attending the 2017 Craft Brewers Conference in Washington, D.C.! 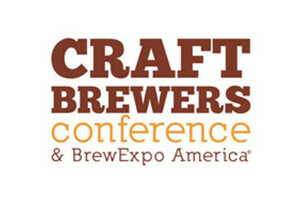 Anderson Process is attending the Craft Brewers Conference & Brew Expo America at the Walter E. Washington Convention Center in Washington, D.C., come visit us at booth # 1260! 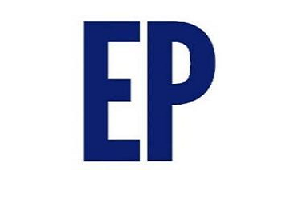 Conference runs from April 10-13, 2017. 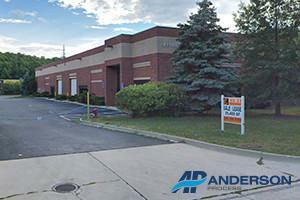 Anderson Process, a Wisconsin-based supplier of process equipment and services, has acquired Werner-Todd Pump Co, a long-standing pump distributor and service provider in the Indiana, Ohio and Kentucky regions. 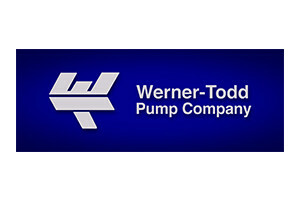 Pumps & Systems Magazine has announced the acquisition of Werner-Todd Pump Company by Anderson Process. 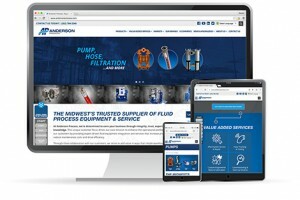 Anderson Process, one of the Midwest’s leading suppliers of process equipment and services, has acquired Werner-Todd Pump Company, a long-standing pump distributor and service provider in the Indiana, Ohio and Kentucky regions. 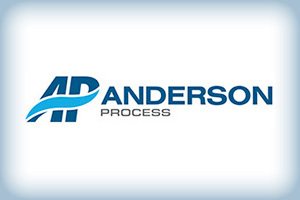 Anderson Process, one of the Midwest’s leading suppliers of process equipment and services, has announced that it has acquired Werner-Todd Pump Company, a long-standing pump distributor and service provider in the Indiana, Ohio and Kentucky regions. 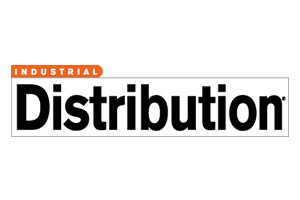 Anderson Process was recently featured in the May issue of Oil, Gas & Petrochem Equipment Magazine. 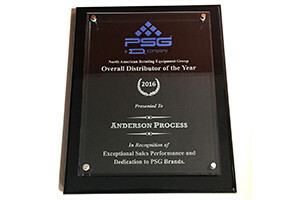 In the May issue, Anderson Process was recognized for their new company name, corporate identity, and website. 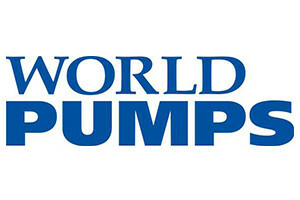 Pumps & Systems Magazine has recently announced the roll out of our new corporate identity. 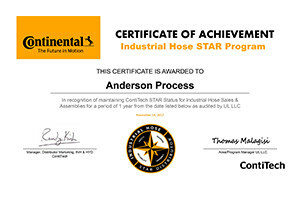 The article highlights how on February 1, 2016, A.A. Anderson & Co., Inc., formerly known as Anderson Pump & Process, began doing business as Anderson Process, a name change that reflects an evolution of the company’s core mission and capabilities. 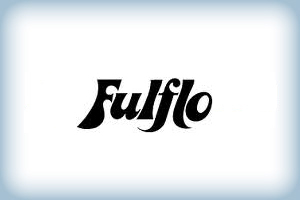 We have been the authorized Fulflo distributor in Wisconsin for over 10 years and through our continued growth we were recently named the authorized distributor in Northwestern Indiana and Illinois. 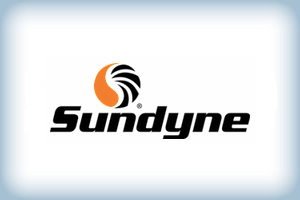 Anderson Process is now an Authorized Sundyne Distributor! 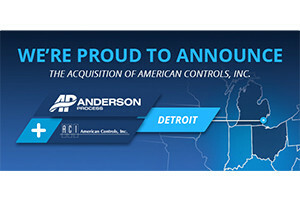 We are pleased to announce that Anderson Process is now one of our authorized distributors/representatives for Wisconsin and the Upper Peninsula of Michigan. 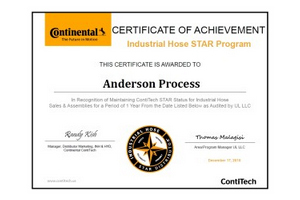 Anderson Process Renews Continental ContiTech STAR Distributor Status! 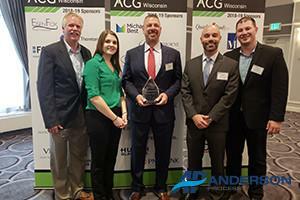 On October 9th, 2015 Anderson Process participated in the MSOE (Milwaukee School of Engineering) Career Fair. During this event we had the pleasure to speak with students/alumni at MSOE.